How did our analysts shape up? 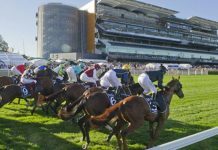 After a relatively tough Melbourne Cup Carnival, most of our stable bounced back with a strong weekend as the Spring racing season draws nearer to a close. After a tough Spring racing period for members there was plenty to smile about at Sandown with over $1,000 profit on the day. I'm A Princess takes out the last at Sandown for @mcevoymitchell and @LaneDamian. 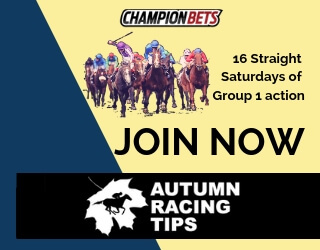 It was a weekend of near misses for Cameron O’Brien and Key Bets members, but small outlay and a late winner on Saturday meant no damage was done to the bank. Cam had no luck in Melbourne with Zumbelina ($4.20, 2nd) getting pipped near the line, but in Perth it was Dark Prospect ($4.80) getting the chocolates. Members suffered through another second-place finish on Sunday as Tips and Scandals ($3.20 into $2.15) got too far back in the run. It was a winning day out West for WA Winners members, with Mark Van Triet breaking through for winning day. Betting into just two races, hitting on Freo ($5.50) in Race 7 was all that was needed to make it a handsome winning day for members. No luck on small outlays in Sydney and Brisbane, for NSW Winners and QLD Winners members, respectively. Each set of members endured a tough watch, however. 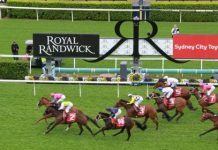 At Rosehill, it was Newsfan ($2.90 into $1.90) who looked the winner before being pipped by the roughie flashing home out wider right on the line. Meanwhile at Doomben it was Tawfiq Boy ($3.70), who was held up multiple times in the straight when looking to run on from a winning position, that provided the heartache. A host of placings put a dampener on the weekend for Barby’s Bets members, with a couple of near misses denying another winning weekend. Near misses on Saturday included Bayou (2nd), Laure Me In (2nd) and Classy Jack (3rd). 2 betting races for 2 winners for around $600 profit for the weekend. UK Racing selections are only released Monday to Friday, but we couldn’t leave them out after another strong week from UK Jack. 4 more winners and 3 runners up from 8 selections, highlighted by Down The Highway ($8.90), saw $800 profit added to the bank across the five betting days. NBA members are starting to gain some momentum after a slow (by Brett’s standards anyway!) start to the season. NBA Specials enjoyed winning days on both Saturday and Sunday – with the former to the tune of $600 profit. NBA First Halves broke even across the weekend with 2 winners from 3 bets. 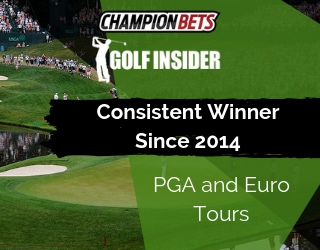 And finally, the High Low juggernaut continued to roll on towards an unbelievable 22nd straight winning month. After another $370 profit from the weekend and currently sit around the 18% PoT mark in November. With just over a month remaining in 2018, we’re hoping a strong weekend provides the platform for a big finish to the year as we prepare to launch into 2019. 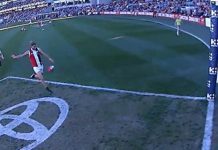 Go pro this week with Trevor Lawson’s Melbourne Ratings. 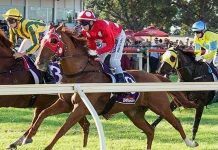 After a tough Spring, racing returned to Sandown on Saturday and Trev relished the change of scenery, finding 2 winners from 2 betting races for a big day of profit. 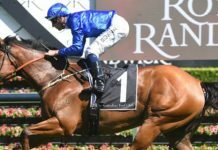 Melbourne Ratings gives you his full set of ratings, speed maps, suggested bets and staking, plus live updates throughout the day so you can bet like Trev does. Over $28,000 profit in less than 3 years tells the story. It’s the only way to punt on Melbourne racing.